Cosatto Woosh XL Pushchair is a stylish and sophisticated pushchair that is suitable from birth all the way up to approximately 25kg. Why should I choose the Cosatto Woosh XL Pushchair? The Cosatto Woosh XL Pushchair can easily be converted from a forward facing pushchair, with newborn recline, to the easy-fit clip-on parent facing carrycot (sold separately). With the addition of the Cosatto Dock 0+ Car Seat (sold separately) the Cosatto Woosh XL Pushchair can transform into a full travel system. With a very stylish design and the included cuddly toy, both you and your baby will love the Woosh XL. The Woosh XL is suitable from birth up to approximately 25 kg. 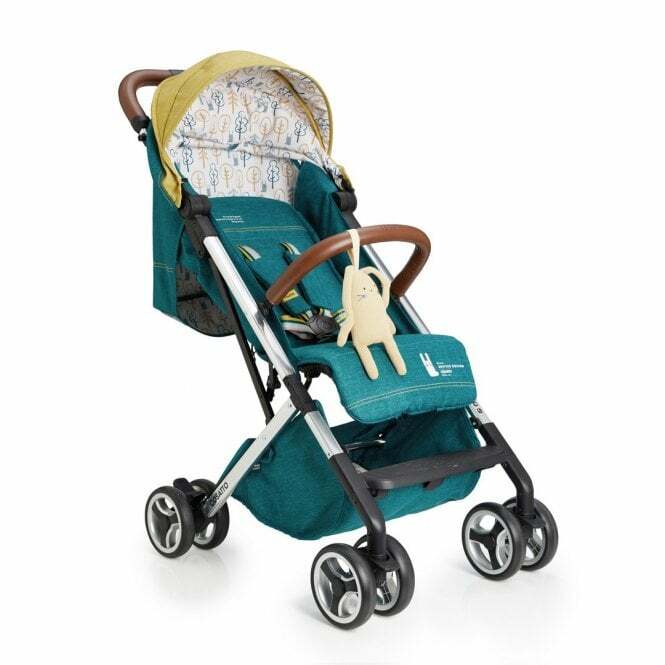 The sturdy but lightweight 7 kg chassis lets your baby use it for longer. You can easily fold the Cosatto Woosh XL with one hand. It folds compactly so is perfect for parents with little storage space to spare. It is also perfect for whizzing around busy towns and cities. If using with the Dock Car Seat, the Time-Lock Technology safety feature means the car seat will re lock onto the Woosh XL if it has not been removed after a few seconds. Lockable front swivel wheels make manoeuvring through tight turns and rough terrain quick and easy. Cosatto Woosh XL also has a UPF100+ double-length sun visor hood adding even more protection for your baby. What are the specifications for the Cosatto Woosh XL Pushchair? Do I get a warranty with the Cosatto Woosh XL Pushchair? Where can I read a review of the Cosatto Woosh XL Pushchair?